Lamaze Certified Childbirth Educators (LCCE educators) are trusted and internationally recognized for their commitment to evidence-based childbirth education. As the only childbirth education credential accredited by the National Commission for Certifying Agencies (NCCA), you will join the ranks of 2,000+ colleagues around the world who meet the highest professional standards. Are You Looking for an Evidence-Based, Trusted Certifying Organization? 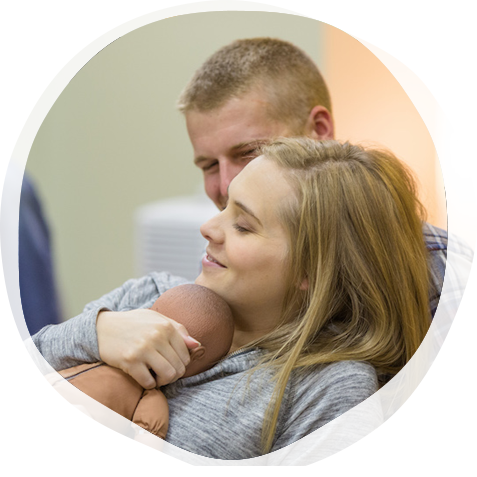 Do you want to help families learn about how to have a healthy pregnancy and be prepared for birth? If so, then Lamaze International—the leading certifying organization for childbirth education—and our childbirth education program grounded in the Lamaze Six Healthy Birth Practices is for you. Some childbirth educator certifications are only known in a single country. However, the Lamaze Certified Childbirth Educator (LCCE) credential is recognized around the world, because our LCCE educators practice all over the world. Whether you are an educator in the United States, Canada, Australia, India, Mexico, Kenya, Romania or anywhere else around the world, the LCCE credential is widely seen as the mark of a competent, highly qualified childbirth educator. The LCCE credential is also widely known and respected by birth professionals and healthcare providers, including nurses, midwives and obstetricians who recommend childbirth education to their patients. In fact, 95% of healthcare providers recommend childbirth education classes to their patients. Lamaze childbirth education is the most well-known childbirth education certification among healthcare providers, with 96% of providers being aware of Lamaze. Why Become Certified to Teach?